So if you haven’t already heard of Pokémon Go by now, then I’m really impressed. Pokémon Go has absolutely exploded onto the scene — kind of like that one part in Ghostbusters (the good one) when the ghost containment unit was powered down and unleashed every ghost onto New York City. Because that’s what your town looks like right now for better or worse. I’ve never played a Pokémon video game,the card game, and barely watched the cartoon, yet even I’ve tried this mobile game. While the game needs a lot more improvement, it’s done something that’s never crossed my mind: I really need to go and mail my bills so I can grab some Poké Balls. 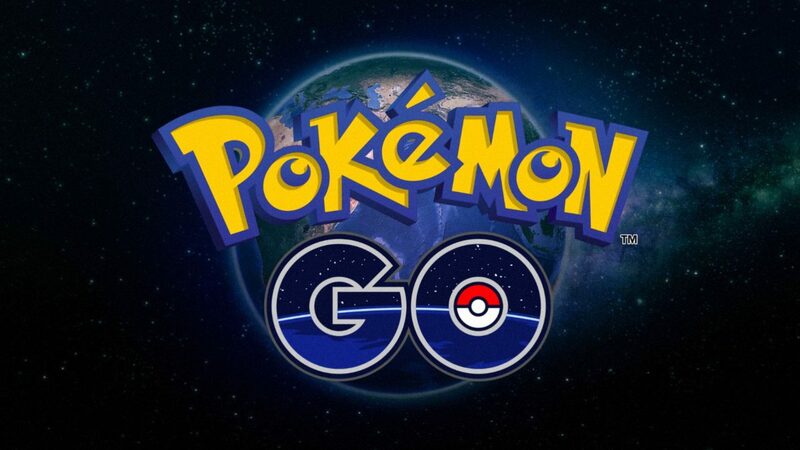 For those who don’t already know, Pokémon Go is mobile game for Android and iPhone devices that utilizes Google maps to turn the real world into a Pokémon capturing adventure. Using a smartphone’s camera and GPS tracker, players can catch Pokémon with the use of augmented reality. To catch Pokémon, players must throw Poké Balls by swiping the screen towards your target. What makes this game such a phenomenon is the heavy encouragement to go outside and explore your real-life community. Local landmarks and buildings turn into PokeStops which act as valuable supply caches to fuel your hunts. 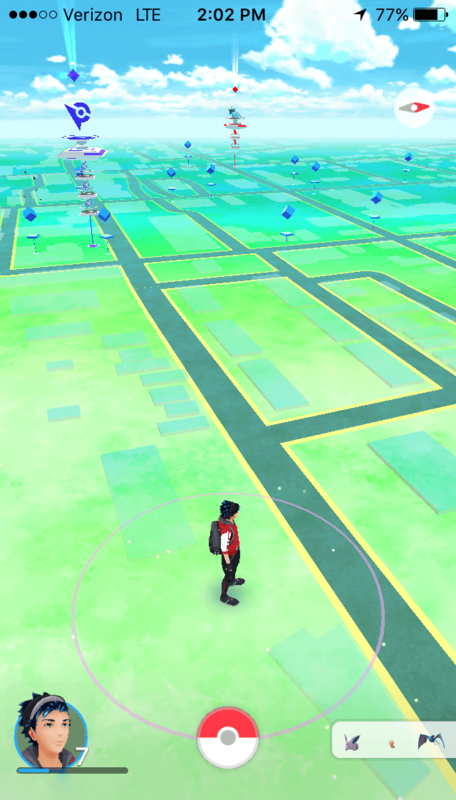 Other real world locations pose as gyms that let players train their Pokémon by fighting other player’s Pokémon. It’s amazing to see all these people being active all because of a video game — you can definitely tell who is and isn’t playing by the way. While there are positive benefits to playing, there are a number of safety hazards to consider, and it’s important to use proper judgment and awareness of the surroundings. A lot of it is common sense, but there have already been a bunch of reports of accidents and criminal activity involving this game. As of the time of writing these impressions, two of the game’s biggest obstacles are performance and functionality. Regardless of signal quality, numerous crashes have occurred, mostly when a Pokémon has been captured by a Poké Ball, leading to much frustration. I nearly lost a Pidgeotto due to this same situation. The game currently drains battery life at an alarming rate, and servers have been struggling to house the massive traffic. Fortunately, developers are working on these issues, and hopefully they will be resolved sooner rather than later. Due to the enormous success, frequent updates will be implemented to improve performance and add new feature such as peer-to-peer Pokémon trading and battling. For those accustomed to Pokémon’s traditional turn-based combat, you may be disappointed when it comes to Pokémon battles. Instead, Pokémon Go ops for basic screen taps for attacks and swipes for dodging. Can’t say I’m a fan of this method, preferring a turn-based approach instead. Hopefully, combat will be deeper in the future, but I highly doubt it. Much of the appeal is in the act of exploring your area and finding specific Pokémon to broaden your collection. Pokémon Go is a great experience, and will likely change the face of gaming in the near future. 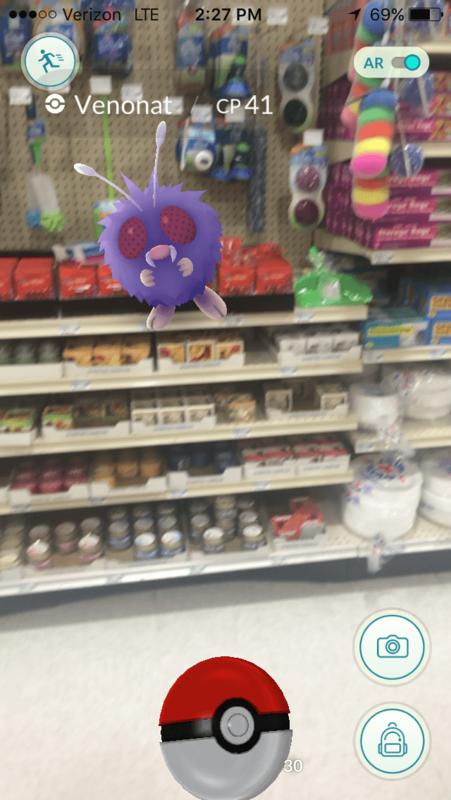 While this isn’t the first time a mobile game has used augmented reality in this style (It’s not even the first of its kind by developer, Niantic), it shows how big of an affect a brand name can have on a product. I hope the game will create a more positive impact on people’s lives in the long-term than the negative that has already occurred. The developers will certainly have their work cut out for them to maintain the sheer numbers generated by this game and hold people’s interest, once they “catch ‘em all”.